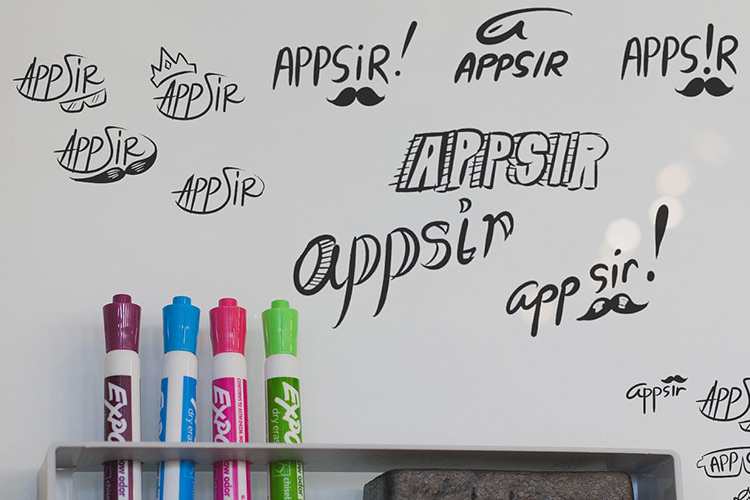 Despite its HUMBLE BEGINNINGS, AppSir consistently rolled out new apps for the iOS and android with a score of avid users. Soon, Darius and Daphne realized that managing several AppSir projects and full-time government jobs meant that they couldn’t get a lot of their plans done alone. They realized that they needed to expand the AppSir team of two. Darius and Daphne needed to get people who would be able to quickly embed within the team, internalize the work-ethic, and deliver extraordinary results. The first person on their mind was Maryan, the artist they closely collaborated with to initially build the AppSir brand. Having realized the profound change AppSir was about to go through, they needed to scrap the old logo and do a brand overhaul for AppSir. The old logo was fine as it was, but would only represent AppSir as a project mainly run by Darius. Maryan and Daphne were fine with the old logo having his features, but Darius wanted to craft a new logo to represent their growth. With a blank canvass to rebuild AppSir from scratch, the team had to decide what kind of direction they were going with the rebrand. The team tested everything with the users to build a new logo with feedback data in consideration. As the team explored what AppSir might look and feel like as a brand, together they realized that they should retain the original hexagonal shape of the logo. The shape will perfectly capture the spirit of the brand, as Darius was already eyeing three perfect candidates that will make them a team of six people. 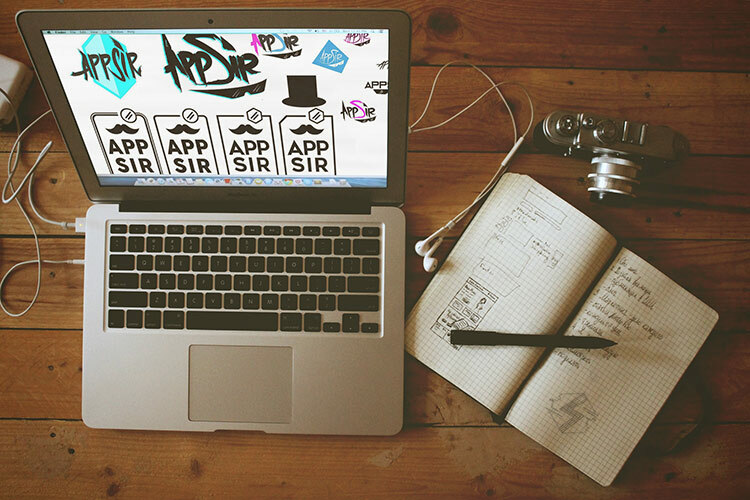 The birth of the new logo and launch of a new website signalled a new era for AppSir, but this wasn't enough. The team has their sights set on growing AppSir into a truly global brand. For this to happen, three passionate individuals needed to join in: Martin Yabut, Alconi Chaluangco, and the founder’s father Darius M. Guerrero. Martin offers skills and knowledge that come from real-world experience from his family running multiple ventures. Alconi Chaluangco has partnered with and managed over two dozen businesses, and offers networking and marketing opportunities to grow the AppSir brand. Darius Sr., with his knowledge on building companies from launch to sustained profitability, offers to upscale AppSir to new heights. The three commandos joined in and AppSir grew to a team of six. To seamlessly integrate the new partners, a one-day workshop was conducted in Calamba, Laguna. To begin with, the team started discussing their vision of AppSir five years into the future. At one point in the workshop, the team had some difficult yet productive discussions about the scope of AppSir. Darius remained relentless focus on the ambition – putting AppSir on the world business radar by diversifying interests and expanding its clientele. This vision was at odds with Maryan who wanted AppSir to focus on making games for kids. The team later agreed that AppSir diverse offerings can accommodate people of all ages, cultures, stories, and backgrounds. While some of expectations were different, everyone in the team wants AppSir to compete with and win against the larger, more established mobile game studios. After the workshop, the team immediately began their preparations for the launch of FACE BUMP, AppSir’s first mobile game offering since its rebranding. AppSir learned a valuable lesson in culture in the events that happened NEXT.